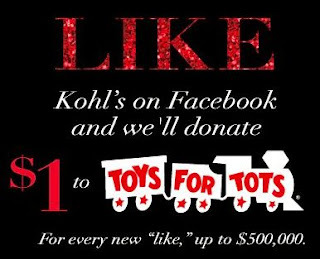 Kohl's giving $1 to Toys for Tots for each new “like” we get now through December 24. Tell your friends and family. Every “like” helps.